We can’t give what we don’t possess. The Enemy works in much the same way. Satan whispers promises of comfort, satisfaction and fulfillment. He baits us with pleasure and strokes to our ego. Ultimately, however, the Enemy doesn’t have the resources to make any of it a reality. The Enemy isn’t the only one who breaks his promises. We live in a world of broken promises. In fact, most of us have intentionally or unintentionally broken promises. Only God is the real keeper of promises. God never lies, never over-promises and always keeps His Word. Do you believe God keeps His promises? A better question might be–do you believe God’s promises are for you? 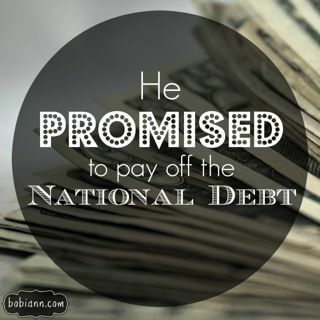 Have you questioned whether you deserve the promises of God? Maybe the promises of Scripture are for those better at keeping God’s laws–the faithful. In case you think God’s promises are not for you, or that His promises are only for “perfect” people, consider an OT character named Jacob. He and his mom were deceivers, thieves and just all around no-good. When Jacob stole the birthright from his brother, Esau, he was afraid for his life. (Esau was pretty ticked) He ran away to the desert and found a place to sleep. The Bible says that he grabbed a rock and used it as a pillow. As Jacob slept, God spoke to him in a dream. Some of us feel as if we don’t deserve God’s promises. Likely, we would be right. However, God’s faithfulness is not dependent on our faithfulness. (2 Timothy 2:13) God always (every single time) keeps His promises. Question: What promise from God are you holding onto today? Has the Enemy caused you to question if God really made that particular promise for you? Check out Genesis 3…How did Satan deceive Eve? Don’t be deceived or forget the character and promise-keeping of God. ¹Illustration from Overwhelmed by God and not Your Troubles by Steve Mays, p. 199.